To taste Maine Blueberry Honey is to take a step into the forests of New England. With a full, well-rounded flavor that reveals rich earthy components, this varietal finishes on a playful, buttery-sweet note. Its medium to dark amber color and sturdy character evokes the wooded surroundings and acidic soil in which blueberry bushes often grow best—that hardscrabble life. Blueberry Honey has a high count of large pollen grains, leading to rapid, grainy crystallization that makes for easy spreading over biscuits and wedges of cheese. Maine Blueberry Honey's bold flavor and lingering buttery finish make it particularly dynamic for pairings. On a cheese board it shines with Stilton, Bayley Hazen Blue and other mild blue cheeses, and it elevates the flavor of Lung Ching Green Tea to heretofore unseen heights. Try it on yogurt and granola and experiment with glazing carrots or beets. On a warm summer day, just a dab will suffice on slices of lemon and melon. Take the honey citrus combination further for a killer homemade blueberry syrup—dynamite on pancakes, waffles and ice cream. Like all varietal honey, blueberry takes cocktails from ho-hum to inspired. Try it in one of our favorite honey cocktails, The Honeybee, where its rich flavor plays off the sweetness of dark rum and the fresh tang of lemon juice. Lowbush blueberries (Vaccinium angustifolium) are native to Canada and the Northeastern United States, and now grow as far west as the Great Lakes and as far south as the Great Smoky Mountains. The bushes grow wild but often require some level of management from the farmers who harvest them, including intensive pruning at the end of each berry harvest. Most beekeepers who use blueberries as a floral source reside in New England or Michigan. (Our honey comes from Central Maine, where the lowbush blueberry is the state fruit.) The white blossoms bloom in June, and have a distinctive bell shape with an average length of 5 millimeters. 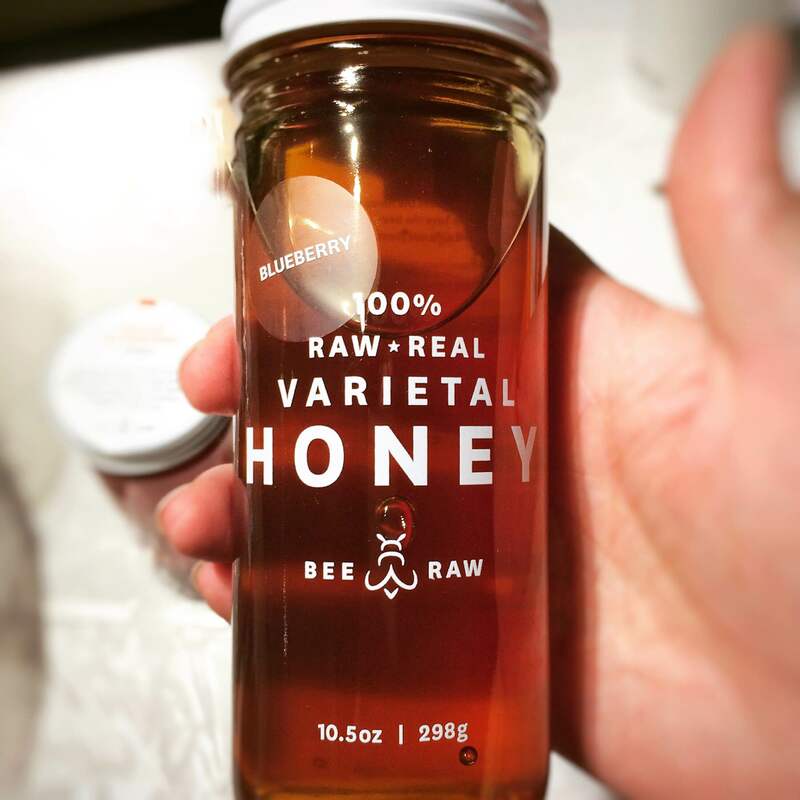 In general, raw honey is full of antioxidants and contains helpful trace elements and minerals, such as cobalt, copper, iodine, iron, magnesium and phosphorus. For centuries people have turned to raw honey for the topical treatment of minor wounds and burns, and as an antibacterial agent to promote overall health. Parents in need of a good night’s sleep also credit raw honey as a natural cough suppressant, given its ability to coat and soothe the throat. How do you use Maine Blueberry Honey? Let us know in the comments!